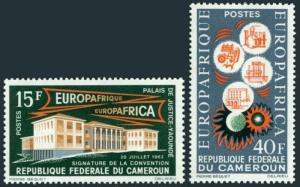 Cameroun 401-402, MNH. Michel 408-409. 1st Ann. of the economic agreement between the European Economic Community and the African and Malagache Union, 1964. Emblems of Science, Agriculture, Industry and Education and two sunbursts. Blocks of 4 - buy 4 sets. $0.05 shipping for each additional eligible item you buy . For domestic purchases up to $60.00 first class mail will be used; purchases above $60.00 require mail with tracking number or insured mail (buyer pays the mail fee). For international purchases up to $60.00 first class international airmail will be used; purchases over $60.00 require mail with tracking number (registered mail, buyer pays the $19.00 or $20.00 for oversize item). Warning for the buyers from Eastern European countries, Russia, China, Middle East, South Asia, Latin America, Africa exclude RSA, and the buyers with Hip ID less 100: the purchases over $30.00 require expedited mail. 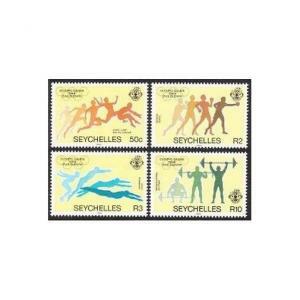 Seychelles 547-550,550a,MNH.Michel 563-566,Bl.24 Olympics Los Angeles-1984. 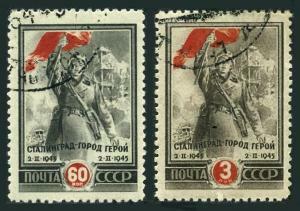 Russia 968-969,CTO.Michel 951-952. Victory at Stalingrad,2nd Ann.1945. 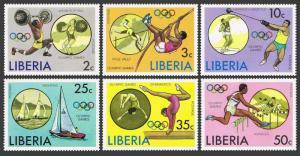 Liberia 736-741,C211,MNH.Michel 990-995,Bl.80. Olympics Montreal-1976.Yachting. Ethiopia 1335-1337,MNH.Michel 1417-1419. Pottery 1992. Cover, Jug, Tall jar.